Back in October of this year Microsoft shut down the Windows Live Gallery which contained a huge collection of sidebar gadgets for your Windows Vista and Windows 7 operating systems. This large collection of add-ons was replaced by a single page of gadgets at the Windows Personalization Gallery. I am not sure what the criteria was for the remaining gadgets but many folks are coming here in search of Gadgets after we profiled quite a few in a series of blog posts last year. As I take a peek in my website stats over the last few weeks several of those gadget postings are very popular. The goal of this posting is to provide you some options for finding those gadgets that are no longer available directly from Microsoft. I will try to either give you an equivalent gadget that is still available on the Windows Personalization Gallery page, a link to the gadgets new location or a link to a replacement gadget that has similar features. I hope this helps you find your favorite gadgets. PC Pitstop is proud to welcome our friends at Windows Observer as guest contributors. 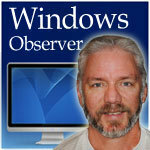 Windows Observer is owned and operated by Richard Hay. In January 2010 Richard’s community contributions were recognized by Microsoft when he received his first Most Valuable Professional (MVP) Award for Windows Desktop Experience and in January 2011 when he was renewed as a Microsoft MVP in a new category called Windows Expert-Consumer. Windows Observer Windows Observer, windows sidebar gadgets. permalink.